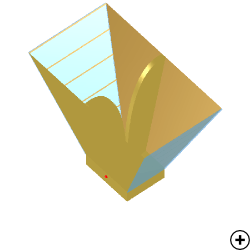 Image of the Dual-ridged horn antenna with printed side posts. 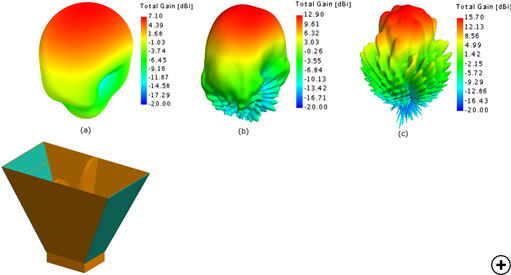 Electromagnetic compatibility (EMC) measurements for the 1-18 GHz band are extensively performed using the Double-ridged guide horn antenna (DRGH). 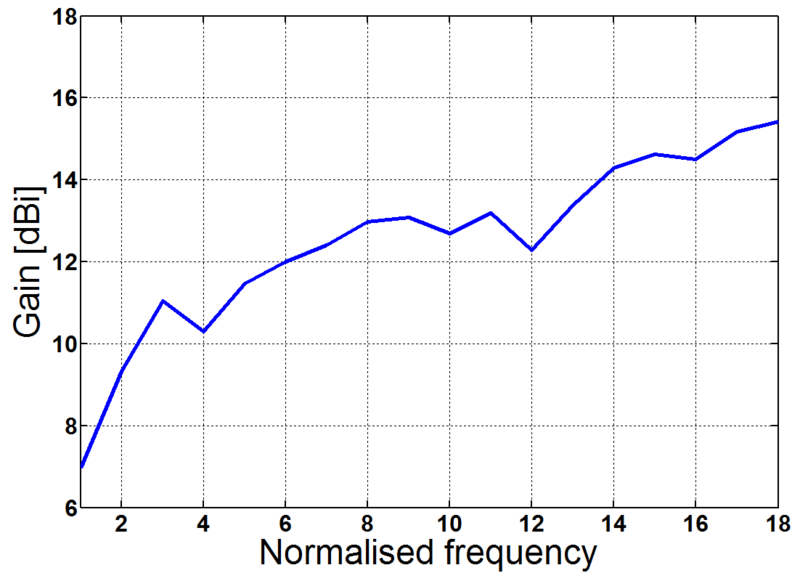 Several attempts documented in literature have aimed to achieve this bandwidth, while considering input match and radiation pattern behaviour which define UWB operation. Historically however, designs usually suffered from pattern degradation above 12 GHz, where the pattern splits up into four lobes, instead of maintaining a single main lobe [Bruns et al. 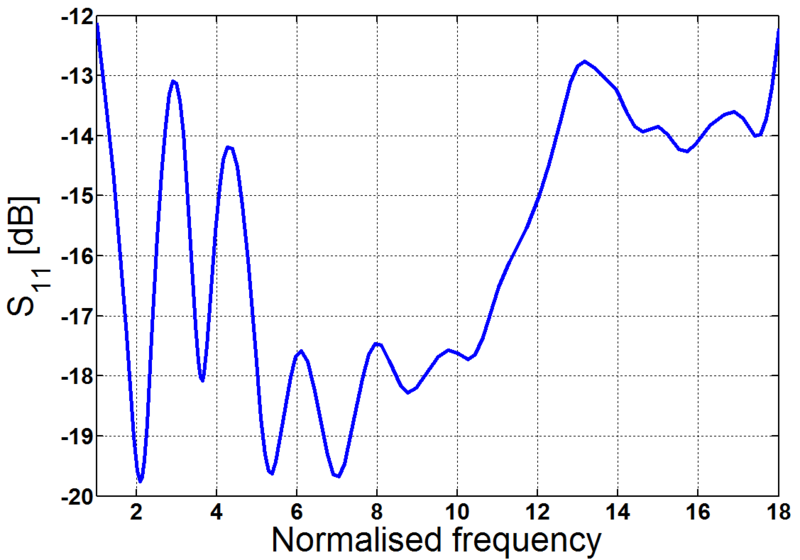 ], and the boresight gain reduces by approximately 6 dB. [Jacobs et al. 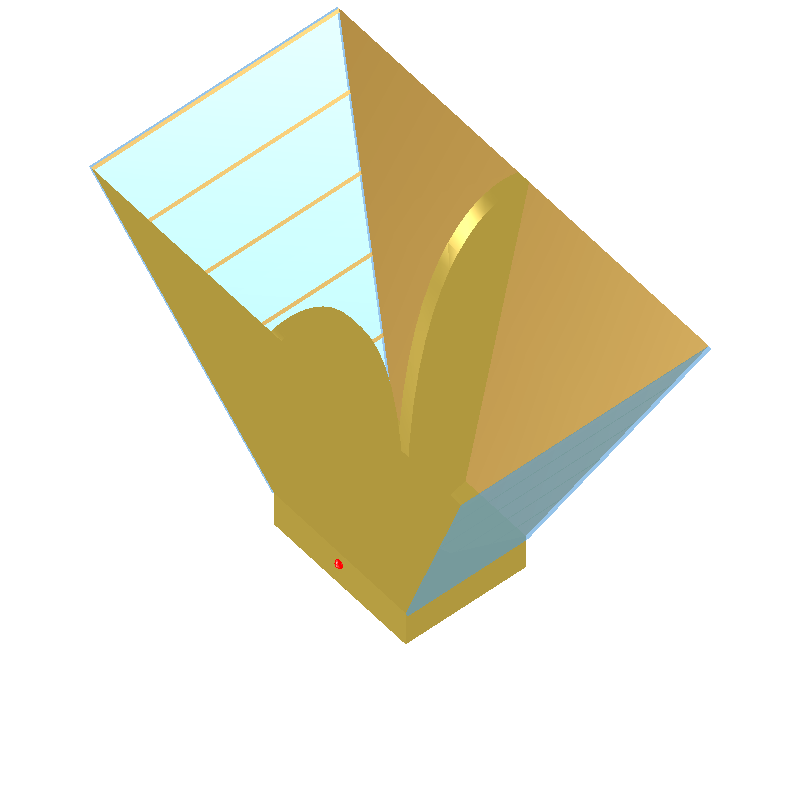 ]To ensure optimal performance, the H-plane sides are replaced by either a parallel grid of conducting posts or a parallel grid of printed strips on a dielectric substrate. The latter is considered here and also serves as a weatherproofing mechanism. This antenna covers the full 18:1 bandwidth needed for EMC measurements, both in terms of input match and radiation pattern [Jacobs et al.]. 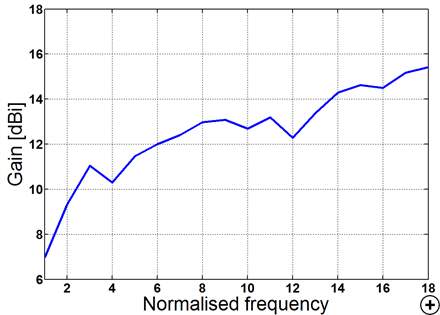 B. Jacobs, J. W. Odendaal, and J. Joubert, 'An Improved Design for a 1-18 GHz Double-Ridged Guide Horn Antenna', IEEE Transactions on Antennas and Propagation, vol. 60, no. 9, pp. 4110-4118, Sep. 2012. 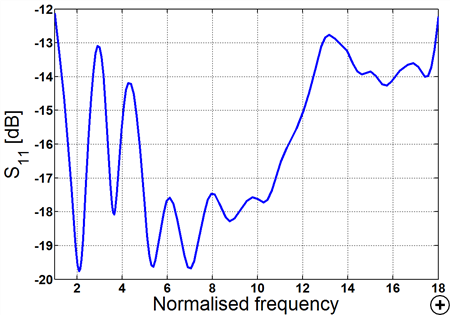 C. Bruns, P. Leuchtmann, and R. Vahldieck, 'Analysis and Simulation of a 1-18GHz Broadband Double-Ridged Horn Antenna', IEEE Transactions on Electromagnetic Compatibility, vol. 45, no. 1, February 2003, pp 55-60.